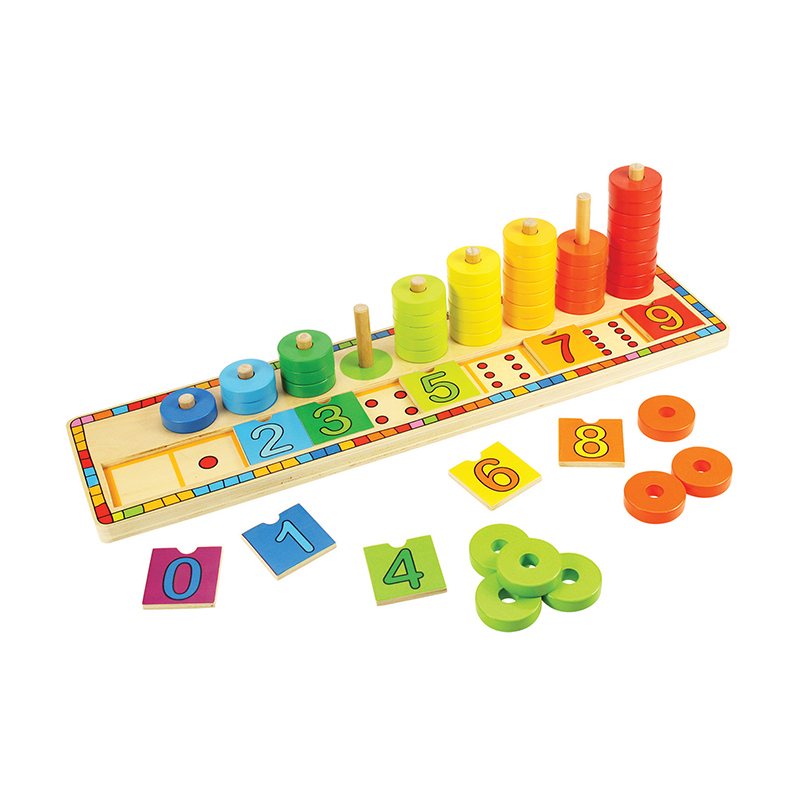 This award-winning educational wooden puzzle acts as a fun introduction to mathematics and counting skills. Match the numbered squares to the dots on the base of the puzzle and then count the brightly colored discs as they are placed onto their individual pegs. Helps to develop dexterity and concentration. Made from high quality, responsibly sourced materials. Conforms to current U.S. safety standards. Age 2+ years. Height: 10 1/2 in, Width: 16 3/4 in, Depth: 1 7/8 in. Consists of 55 play pieces.